This book includes an introduction to some important reliability concepts and a review of terminology. The work is divided into three sections: modelling, evaluation and assurance. Partial table of contents: FUNDAMENTALS. Reliability Physics and Failure Mechanisms. Statistical Distributions. MODELLING. The Load-Strength Concept. Intrinsic Reliability - The Generic Case. Extrinsic Reliability. EVALUATION. Lifetesting. Field Failure Data Analysis. 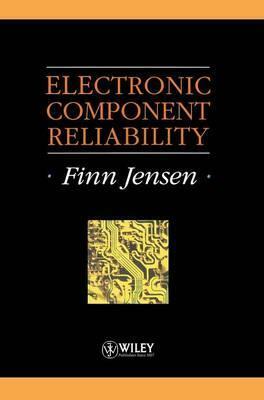 Reliability Prediction of Electronic Equipment. ASSURANCE. Reliability Screening: Burn-in. Reliability Indicator Screening. Appendices. Index. Finn Jensen is an independent consultant in reliability engineering. He received his M.Sc. in Electrical Engineering in 1962 and his Ph.D. in 1970 from the Technical University of Denmark. He has been concerned with practical reliability engineering and research since the early 1970s, forming his own company in 1973. As reliability adviser he has conducted numerous reliability short courses in industry and has published and presented papers at many national and international conferences.